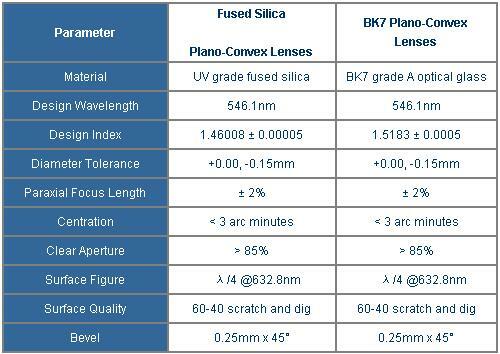 Plano-Convex Lenses have positive focus length. Most suitable where one conjugate is more than five times the other. e.g. 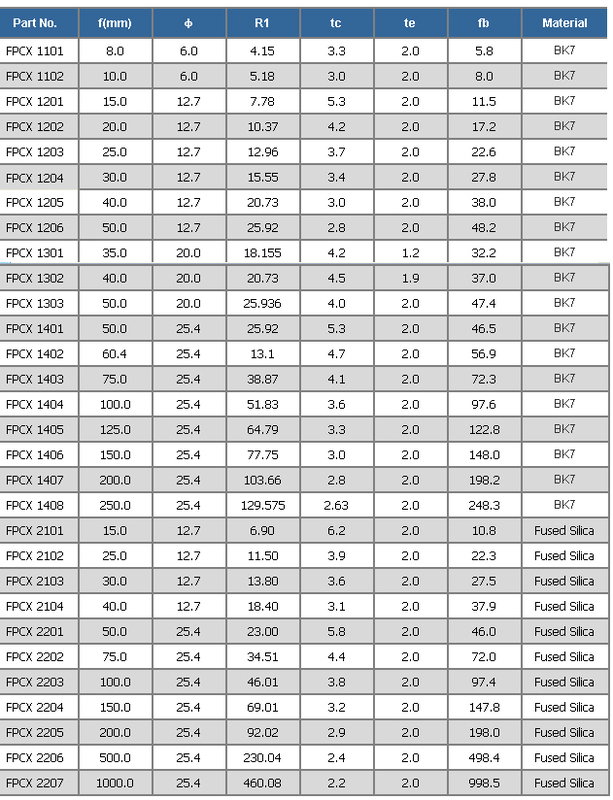 in sensor application or for use with near collimated light. 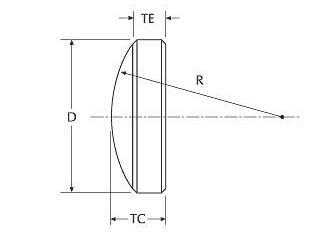 Also where both conjugates are on the same side of the lens, e.g.as an add-on lens to increase the numerical aperture. * The sizes and coating are available upon requirement.